If I had a dream location to live, I think it would be an island off either the Atlantic or Pacific coast. Yes, I grew up among mountains, but have to say I've always been in love with the sea. If I had aced calculus I might even be a marine biologist right now, but hey, I love what I'm doing and can dream of an island home-to-be. However, while I'm dreaming, I'll be reading Terri Osburn's Anchor Island novels. What a perfect locale she's created with an island (inspired by North Carolina's Ocracoke Island - vacation location found!) that has limited cell service and where you can disconnect from the stresses of town life. 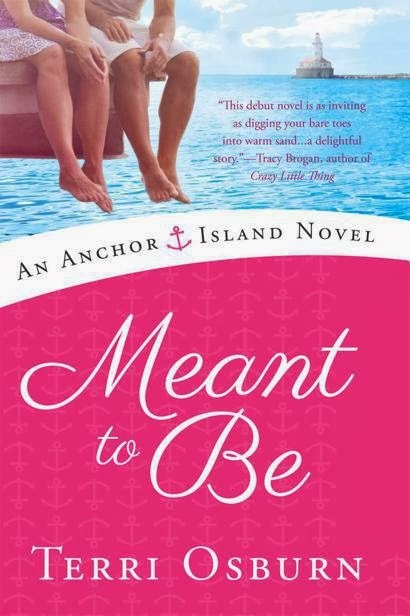 Osburn's debut novel and first book in the series, Meant to Be, is a fabulous introduction to the island and it's community. I love that when we meet Elizabeth "Beth" Chandler that she's expressing the very human emotion of fear - fear in this case of water as she takes a ferry from the mainland (Virginia) to Anchor Island. A lawyer, who relegates herself to research to not deal with courtroom battles, Beth is a wonderfully drawn character. Upright, repressed, yet you know that there is a wild child living inside her. As she grips the steering wheel of her car in terror a dog and a man invade her space - and possibly more - as they distract her from her journey to meet her future in laws. Her fiancé, Lucas, is a fellow lawyer at the firm on the fast-track to partnership and it's quickly apparent that his goals may be more important than Beth - but also apparent that they truly care about one another. What transpires when that man and dog turn out to be her future brother-in-law and favored pet? How does Beth adjust to island life from the busy pace of Richmond? Can Joe not only help Beth overcome her fear of water, but also find something more with her? This was a very sweet book that combined a certain innocence of heart with some hot romantic scenes. I loved the Dempsey family, their restaurant, the wise-cracking Sid (Joe's assistant), and coffee goddess Will. However storekeeper and confidant Lola stole my heart. 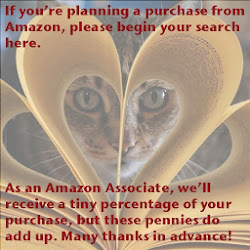 While I could guess what might happen, Osburn has enough twists to keep you on the edge of your seat and quickly flipping the e-pages in your reader. Meant to Be is a fabulously fun romp, combining great writing, a fabulous setting, and heart-tugging characters. Loved it. 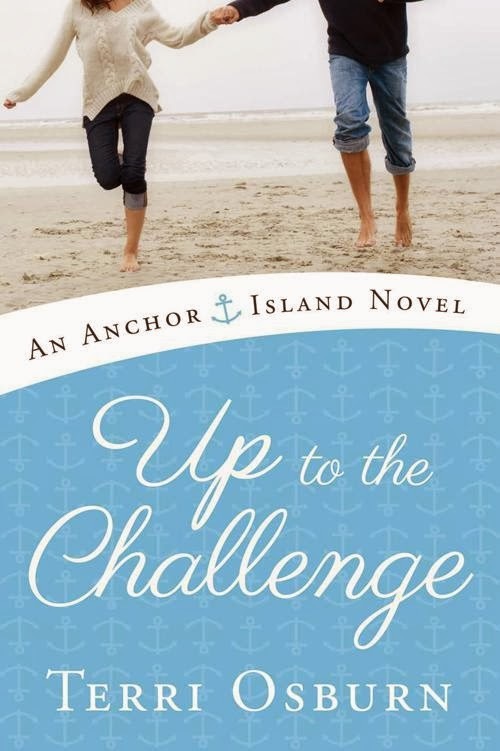 Osburn's second book, Up to the Challenge, focuses on lawyer Lucas Dempsey, who returns to Anchor Island about six weeks after the conclusion of Meant to Be. I don't want to give any spoilers away, however you can see by the description below that this book is focused on Sid and Lucas helps his family with their restaurant while his father recovers from a heart attack. We know that Sid has had a crush on Lucas since high school, but could this be her time to have him discover her too? I loved Sid in Meant to Be as she was totally upfront and in-your-face, but in a good way. You know, that rough exterior with a heart of gold. But apparently Sid's exterior might be desired by Hef for some photo ops and soon, it seems, but Lucas as well. Can Lucas find happiness on Anchor Island or will his desires for success lead him away? Can Sid learn to trust her heart and find her place on island? Once again Osburn has written a beautiful and touching story. I love the fact that her characters are not anywhere near perfect, but evolve with each other in growth and love. The family Dempsey is wonderful and finding out more about Sid's brother and Will - well, I can only hope that book three, Home to Stay (to be published in 2014), will explore that relationship in more depth. So to recap, five stars for Terri Osburn's Anchor Island series. It's going on my must-read shelf of Island romances along with Marie Force's McCarthy's of Gansett Island (if you haven't read this series yet, book one - Maid for Love - is free). I loved it and look forward to more from this talented author. Born in the Ohio Valley, Terri Osburn relocated below the Mason Dixon line in the early 1990s after experiencing three blizzards in eighteen months. Seeking warmer climes and a career in the music business, she landed in Nashville and learned fast that getting a job on Music Row is not as easy as it sounds. Ironically, it wasn't until she left Nashville and moved to Arkansas that she found her way into radio. Never one to stay put for long, Terri eventually moved to the East Coast, settled near the ocean, earned her bachelor’s degree while raising a daughter, and joined cubicle land once again. But a love of romance novels soon found her writing her own. Five years and many pages later, in 2012, she was named a finalist in the Romance Writers of America Golden Heart contest. An agent and contract soon followed. Terri now resides in Virginia with a teenager, a Yorkipoo, and two fat and happy tabbies.